Path through the Meadowsweet heading towards the pond. 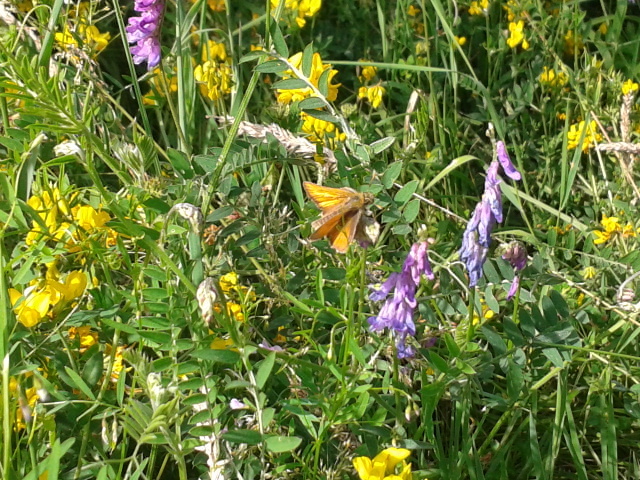 A Skipper visiting the tufted vetch. 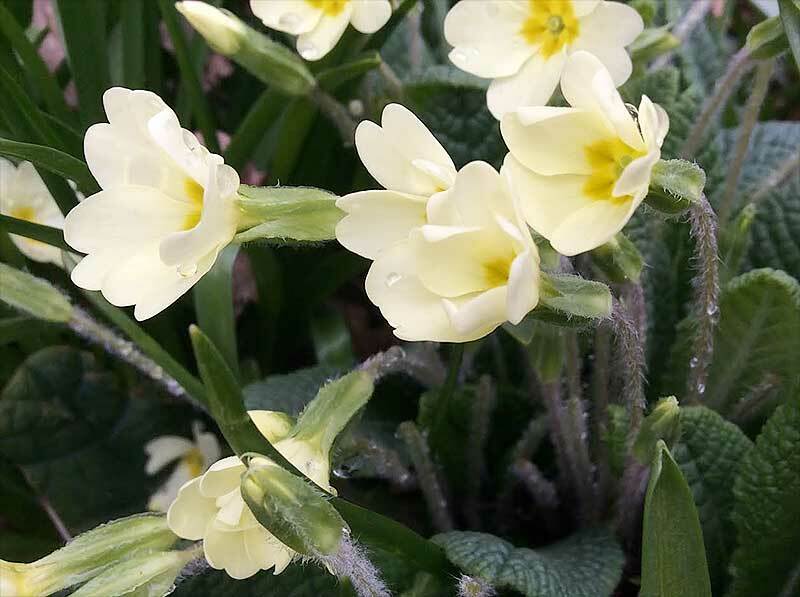 Raindrops on Primroses. 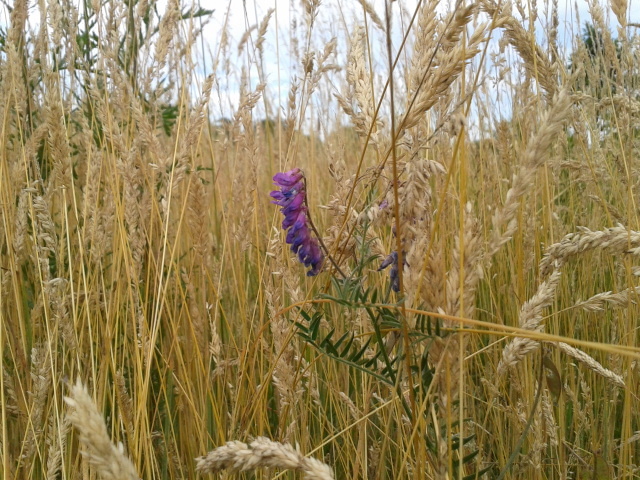 Photographed at Eden Valley by 10 year-old Mini. 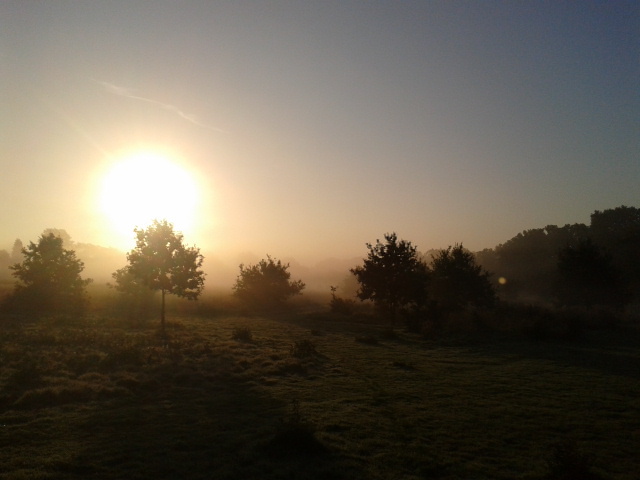 Taken on early an October morning from the north-eastern corner of the site. 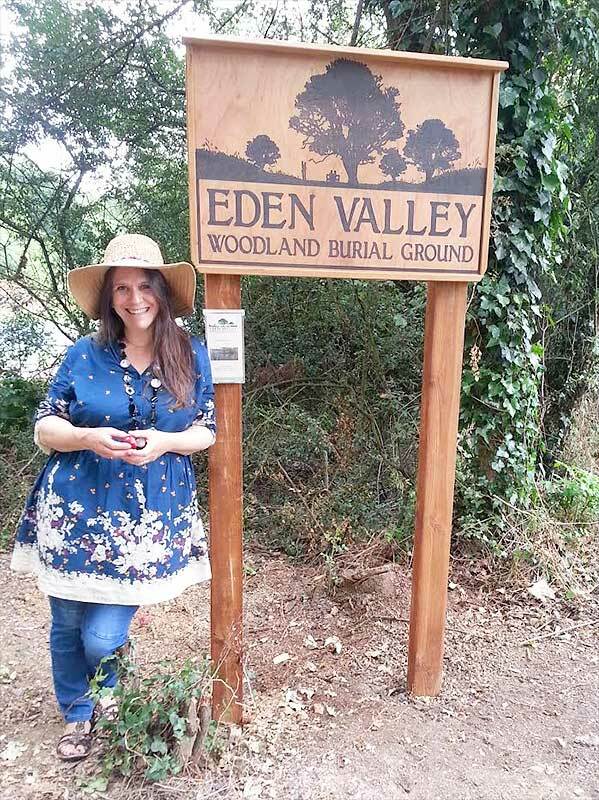 Rosie Inman-Cook, Manager of The Natural Death Centre Charity. 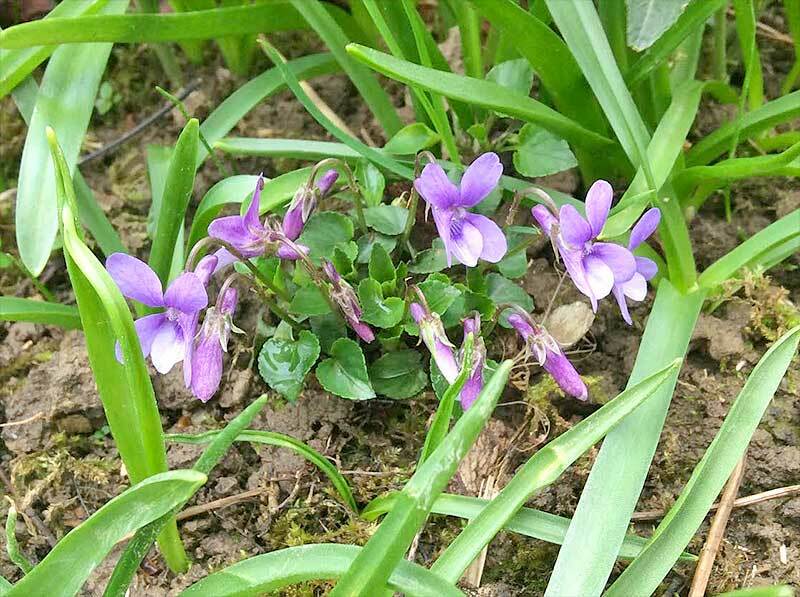 Dog Violets in Our Woods. These are the laval food of the Silver Washed Fritillary butterfly. The female lays her eggs in the bark of trees over the violets, the caterpillars then drop down onto the plants to feed. Fritillary butterfly have been spotted along the site's woodland edge. 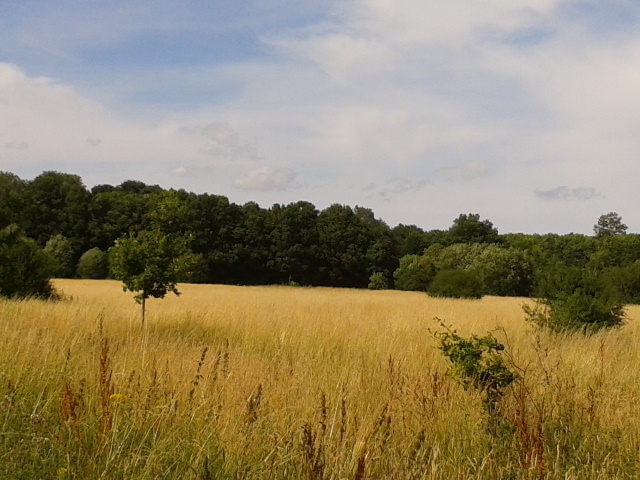 The majority of the site's open areas are populated by grassland. At the height of summer these grasses grow up to 4 feet in height, covering the area in swathes of golden yellows and pastel greens.